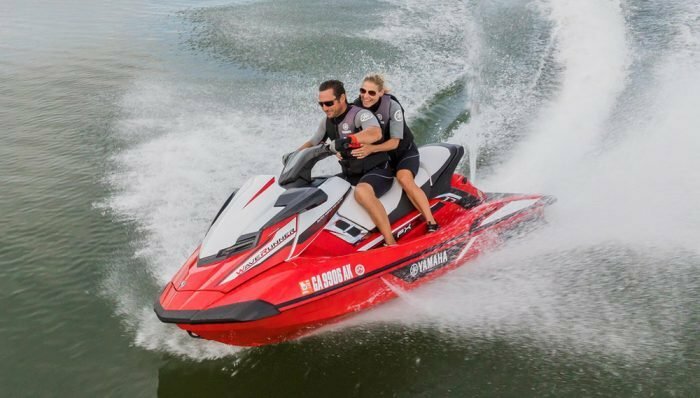 Boasting a new bright red color scheme, the 2018 Yamaha FX SVHO looks the part of a powerful and exciting flagship PWC. The 2018 Yamaha FX SVHO looks different. Yes, this is the same craft from the last model year, but gaze upon it for the first time and the craft suddenly seems to pop off the background. At first I thought it was just the bright red color scheme, but after a few seconds the real difference dawned on me…that bright red is now carried onto the hull. That’s long been black territory for Yamaha, and the change – though subtle – really freshens up the look. It also serves as a reminder that this is no stodgy cruiser, but among the fastest, most thrilling flagships currently on the market. Here are the stats to back up that claim. 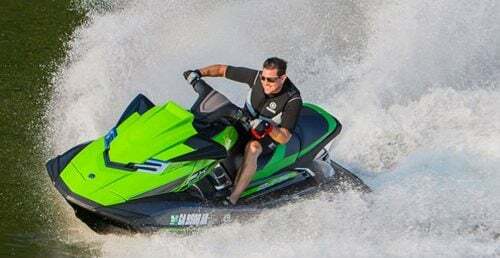 In terms of power, the 2018 Yamaha FX SVHO features the most potent version of Yamaha’s 1,812cc engine, the Super Vortex High Output, still the largest displacement PWC engine produced. Outfitted with a supercharger and intercooler for rapid response and power, it’s on par with other competitor’s flagship models. Slam that throttle and you’ll feel the acceleration, coming on brutally hard before topping out at 67 mph (or more, depending on conditions and load). 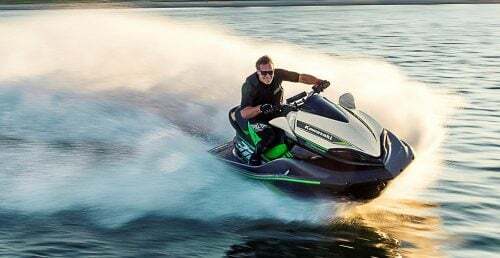 That powerful engine is fitted within the latest and lightest version of Yamaha’s NanoXcel-construction hull and deck to fully exploit power-to-weight ratio. A top-loader scoop grate and 160mm pump ensure that engine’s force is transferred to the water with maximum efficiency. As any seasoned PWC enthusiast will attest, thrills don’t come courtesy of horsepower alone. Hull design is of equal, if not more importance. The current FX hull has matured over the years into a design that excels in both rough and calm conditions. 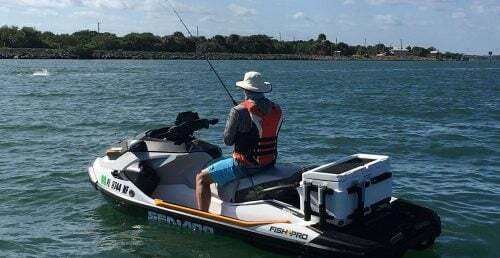 The former has long been Yamaha territory, and the craft stays true, picking its way through lousy or offshore conditions with straight-ahead predictability and precision and seemingly never veering from its path. The latter, however, has truly shined in recent years as the FX has taken to the calm with equal success. Power full speed into a turn, lean to the inside, and you can literally rail through a corner without hesitation, carving up morning glass like an endless slalom course. Play with the electric trim for best results. It allows you to put more of the bow in the water when cornering, and less in the water when you want to air it out for maximum top speed. And don’t forget the benefits of RiDE, Yamaha’s dual throttle system. 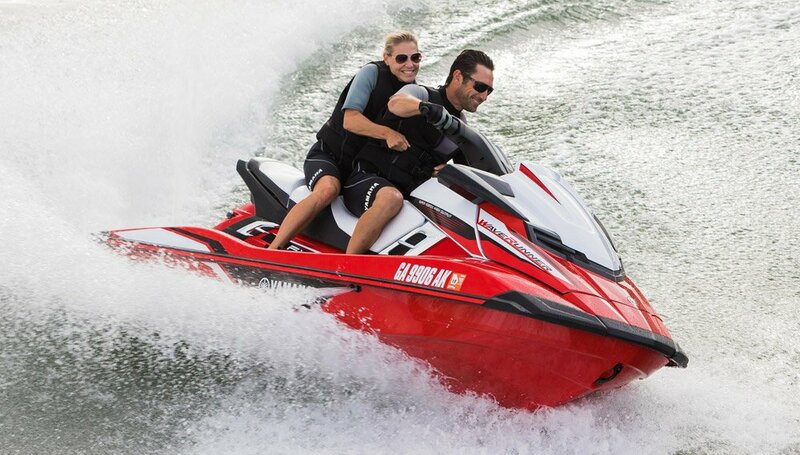 Yes, RiDE offers intuitive low-speed control switching seamlessly between forward, neutral and reverse motions (via traditional righthand throttle for forward and new lefthand throttle for reverse), but it can also be used at speed to slow briefly before a turn and plant the bow, or rapidly slow should another boat or obstacle unexpectedly cross your path. 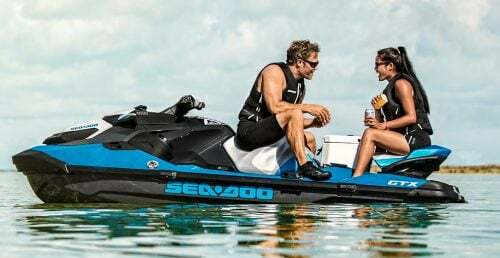 While horsepower and hull arguably combine to take care of most of the craft’s fun factor, ergonomic features allow the pilot to truly exploit it. 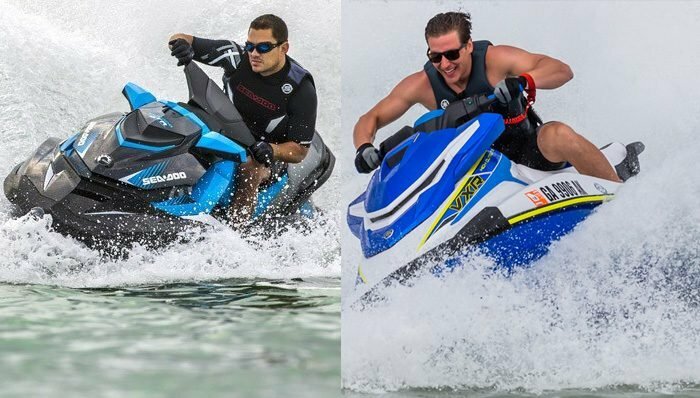 Unlike the cruisers in the FX line, the 2018 Yamaha FX SVHO retains a more traditional, less heavily bolstered saddle. This makes it easier to move about the seat and shift weight placement, key to aggressive handling. Traction mats anchor your feet in the footwells. Handlebars tilt up or down to account for size, as well as accommodate riders who prefer to stand in the rough stuff. Flagship creature comforts include cruise control and no-wake mode, both of which ease finger fatigue at the throttle by controlling speed. 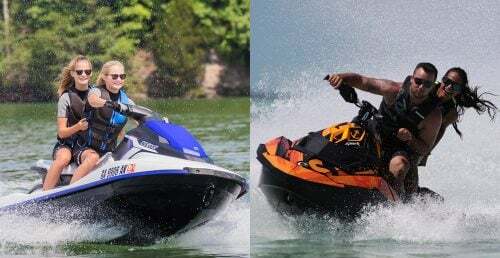 Cruise control is also welcome when towing skiers, tubers and board riders, as it retains a steady speed and eliminates the surges common to human control. 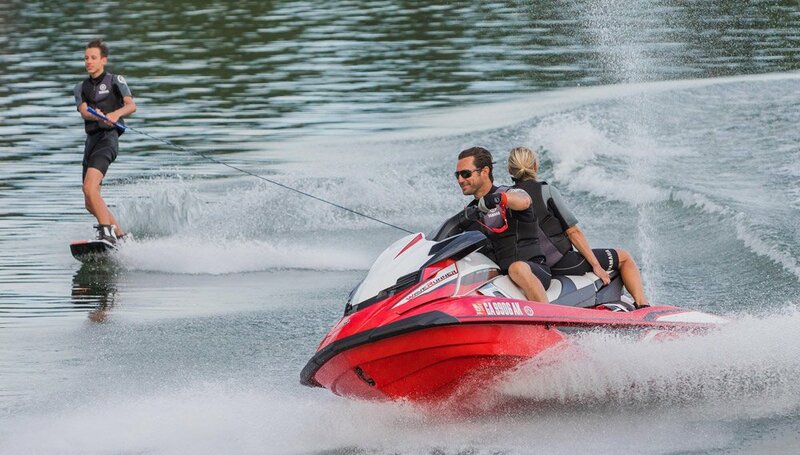 Other worthwhile features include a remote transmitter to prevent unauthorized starting as well as activate a fuel-saving low RPM mode, spring-loaded boarding step to ease deep-water reboarding, and multiple storage options. The latter includes the typical bow storage tub, as well as a deep, water-bottle-friendly glovebox and rear “trunk” that’s a great spot to hold wet items like a mask and snorkel or watersports towrope and handle. For the latter, there’s even a notch in the door to allow the rope to still be attached to the tow hook. Yamaha nails the details. Toughest competitors for the 2018 Yamaha FX SVHO? 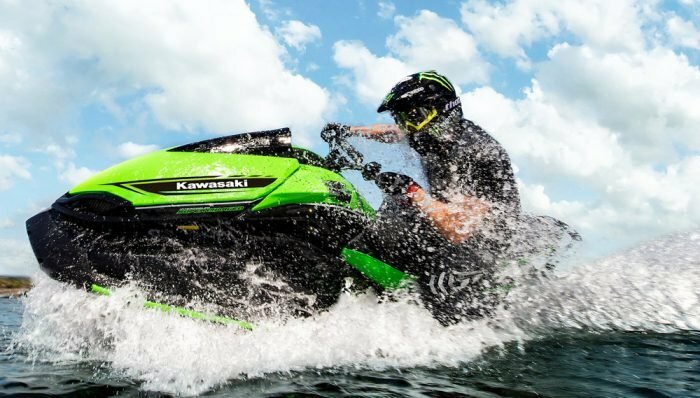 Kawasaki’s Ultra 310R ($16,299) certainly fits the bill in terms of horsepower and handling, but only Sea-Doo offers an alternative to RiDE in Intelligent Brake & Reverse (iBR). 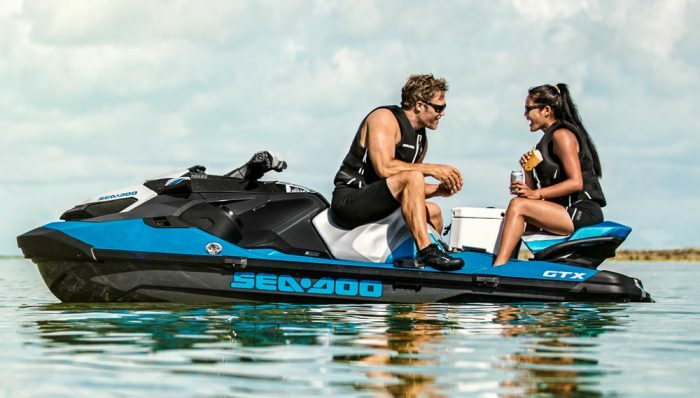 The new Sea-Doo RXT-X ($15,699) offers improved handling in all water conditions, as well as innovative new storage and cargo-hauling capabilities.